Looking towards Shepherdswell Station in April 2008. A Class 412 BEP 7105 is seen on the right. In the background a Class 101 DMU is in the platform with 2-EPB 5759 in the adjacent terminal road. 'Richborough Castle' diesel shunter is seen on the right. 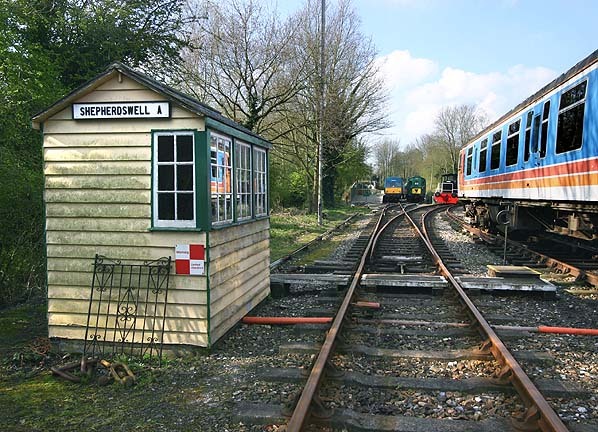 Shepherdswell A signalbox is seen on the left.